Are you a psychic or a medium and want to understand what you are experiencing or you don’t know how to control your abilities? Want to hone in on your craft but just don’t know how or are you a working psychic medium that wants to strengthen your abilities? 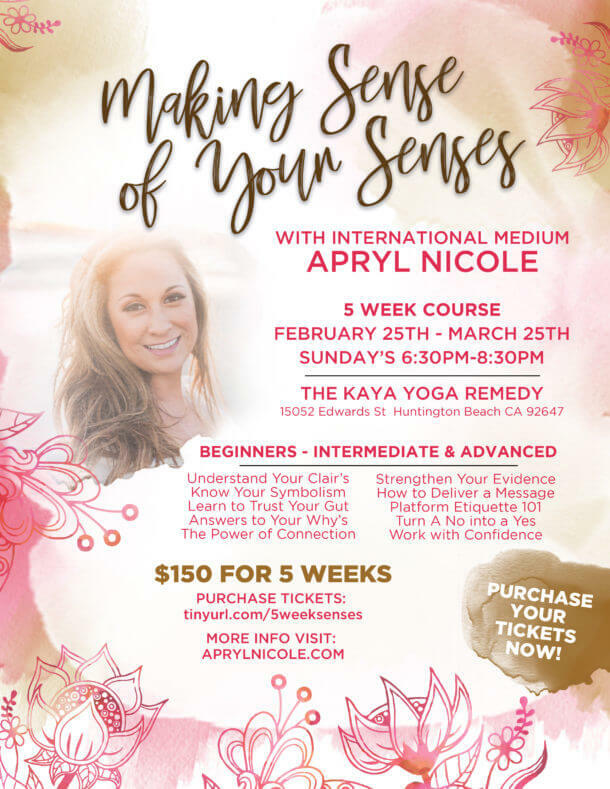 Join Internationally Touring Medium Apryl Nicole for 5 weeks of fun-filled exercises to guide you into Making Sense of Your Senses. You will learn the power of connection. It doesn’t matter if you have NEVER done this in your life you will learn to become a psychic and (or) medium. Your Spirit TeamIf you are already working with your abilities and looking to strengthen your craft or you are interested in learning platform mediumship this is for you! 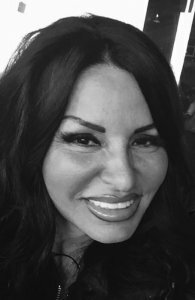 For questions or assistance with booking please contact Nancy, Executive Assistant to Apryl Nicole Psychic Medium.